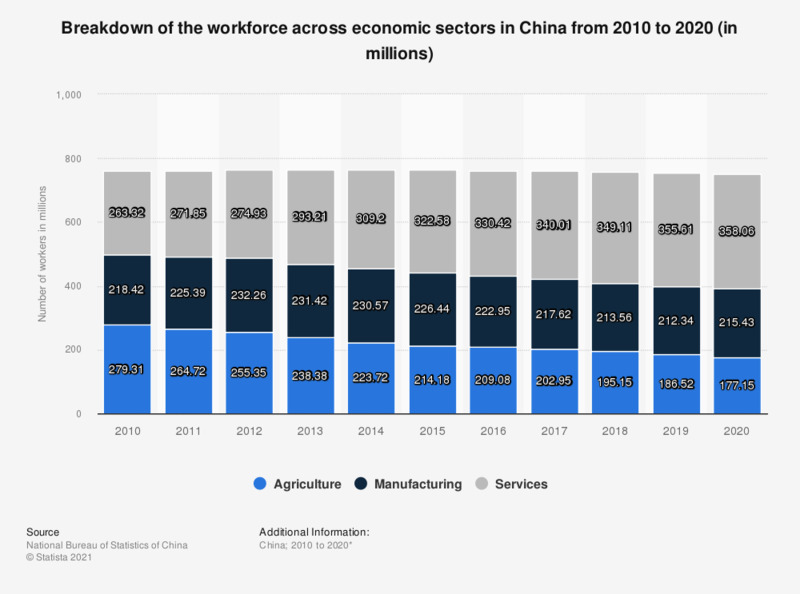 The statistic shows the distribution of the workforce across economic sectors in China from 2007 to 2017. In 2017, around 348.72 million people were employed in the service sector. * Data represents year end figures.